Daniela Moguel and Cecelia. Photo by Leslie Threlkeld. If you’re a fan of Thoroughbreds, you’ll want to keep this list handy so you know who to cheer for on cross-country day! The stories of the 2017 Thoroughbreds of Rolex are as different as the horses—who range in size from 15.1 to 17.1, and in age from 10 to 17, who raced in the Australian outback and steeplechased in France. Ten of the 17 Thoroughbreds have previously completed Rolex, and seven have multiple completions. This is the sixth year we’ve tracked the full Thoroughbreds at Rolex, so we’ve got a small pool of data to provide a bit of a historical perspective. Are the numbers of Thoroughbreds eventing at the top levels going down? Certainly things have been heading that way since the demise of the long-format three-day, but it remains to be seen if the numbers have stabilized or if they will continue to dwindle. What is noteworthy is that so many of the riders who aren’t household names—amateurs, riders doing their first Rolex, those without a string of horses competing at the top level—do seem to be on Thoroughbreds. Especially interesting is the fact that many of the repeat Rolex finishers are still riding the horse that brought them to their first Rolex! Parker and James Alliston, Rise Against and Bunnie Sexton are a two examples. 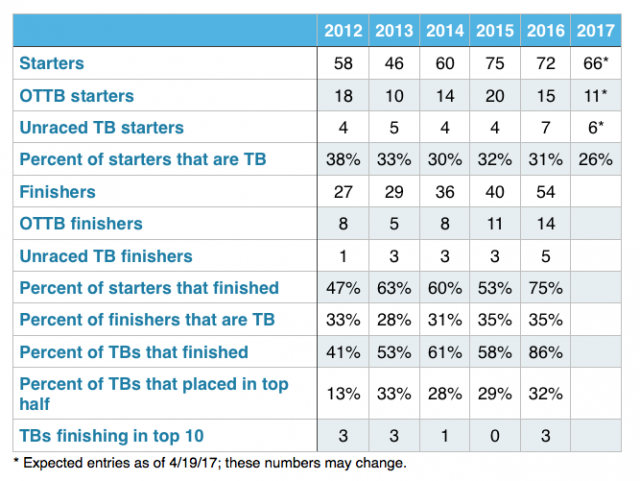 Looking at the last five years of results, it’s a mixed bag for the Thoroughbreds—a rider had a slightly better chance of finishing if he or she was not mounted on a Thoroughbred in 2012 and 2013, and about an equal chance in 2014. In 2015 and 2016 however, Thoroughbreds finished at a higher rate than non-Thoroughbreds. As far as finishing in the ribbons, over the last five years the Thoroughbreds as a group haven’t placed as well as their non-Thoroughbred counterparts. (Although riders of Thoroughbreds, as a group, may tend to have less experience at this level and are less likely to be pros.) But it’s worth pointing out that there are usually a few Thoroughbreds in the top 10, and an OTTB won the whole shebang in 2012 (William Fox-Pitt riding Parklane Hawk). Part of Retired Racehorse Project’s mission is to increase the demand for OTTBs, and we highlight the Thoroughbreds at Rolex every year to draw attention to the fact that riders can and do complete the toughest event in North America on horses they bought cheaply off the track. Some of them barely raced at all; some, like Irish Rhythm (Rachel McDonough) and Steady Eddie (Boyd Martin) raced dozens of times. We’ll continue to chronicle their efforts and successes at the upper level, and all levels, so these equine athletes can continue to find bridges to second careers where they can thrive. If you’ll be attending this year’s event, come visit our booth in the trade fair and stop by some of our events. We’ll be holding two Thoroughbred Makeover Previews to show off several of our 2017 entries! Read our previous years’ summaries of the OTTBs at Rolex (note that not all of the horses profiled in the articles actually started the event): 2012, 2013, 2014, 2015, 2016. Click here to download the Rolex Thoroughbreds Score Sheet and follow their progress! Savannah Fulton and Captain Jack. Photo by Jenni Autry. Like many Rolex rookies, 20-year-old Savannah “Woodge” Fulton is taking her first crack at the Kentucky four-star aboard an OTTB. “Jack” originally was sold to a student of Buck Davidson’s by Wendy Lewis, who got the gelding off the track. When it came time to sell him, he came back to Davidson, and that’s when Fulton met him and bought him with the help of a syndicate in late 2014. Fulton was awarded the Amanda Pirie Warrington grant from the United States Equestrian Team Foundation in November 2016. The grant, established in Warrington’s memory by her family, is intended to provide financial training assistance to a talented up-and-coming rider with the ability to represent the United States internationally in the future. The pair previously placed seventh at the 2016 Bromont CCI3*, 29th at the 2016 Fair Hill CCI3*, and 32nd at the 2015 Fair Hill CCI3*. Daniela Moguel decided she wanted to event when she was 13 years old, when she saw a poster of Karen O’Connor jumping into a water complex. Now 35, she’s reached the upper levels of the sport that intrigued her as a teenager… and has O’Connor as her coach! After competing at the one- and two-star levels with her horses Alejandra and Agave, Moguel was looking for an upper-level partner in late 2014 when she found Cecelia, then owned by Leslie Chelstrom Lamb, in Virginia. The mare had competed through the three-star level with Lamb. This is Moguel’s second trip to Rolex—she made her debut aboard Cecelia last year, finishing 28th with no cross-country jumping penalties. She is the first rider representing Mexico to ever compete at Rolex, and does so without any financial support from her country’s national federation. They also competed for Mexico at the 2015 Pan American Games in Toronto. 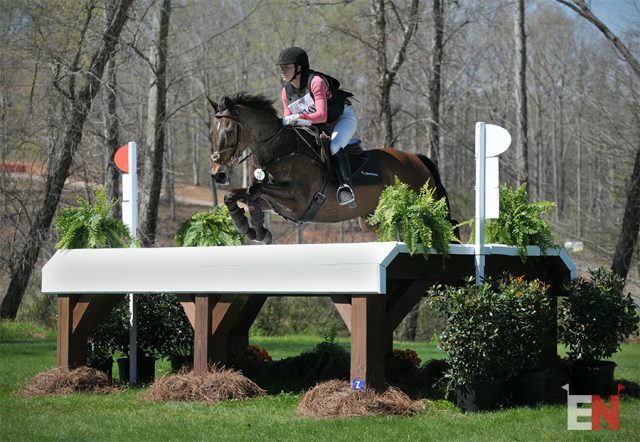 The pair placed fifth at the Red Hills CIC3* this spring. Katie Ruppel and Houdini. Photo by Leslie Threlkeld. 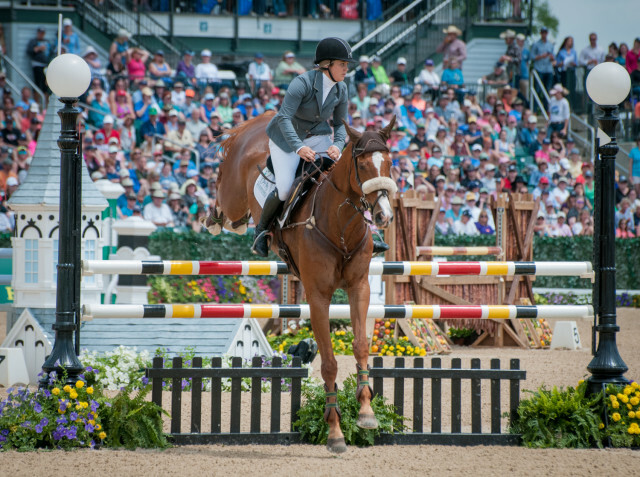 Katie Ruppel and Houdini are tackling the Rolex four-star for the fourth year in a row. They’ve completed twice (in 2014 and 2016), with one stop on cross-country each time, and unfortunately were eliminated on cross-country in 2015, but perhaps 2017 will be the year where they have all the right answers for course designer Derek di Grazia’s questions! Ruppel found “Hewie” while perusing horses for sale online. He was in race training with Kim Clark of Leighton Farm (who now runs Thoroughbred Placement Resources), and just wasn’t making it as a racehorse. Ruppel purchased him as a gift for her boyfriend at the time… the relationship didn’t last, and she ended up the horse. Hewie was a difficult youngster, very spooky and nervous. Ruppel tried to sell him, but he’d get minor injuries right before he was supposed to get vetted. She even tried to give him away, but didn’t have any takers. Finally it was Buck Davidson who convinced her Hewie was worth working on, and helped Ruppel really turn the horse around. In addition to their Rolex completions, they also finished the Pau CCI4* in France in 2015, placing 33rd. At the start of the 2017 season, Ruppel gave the ride on Houdini over to Clayton Fredericks, planning to concentrate on her young horses instead while Fredericks aims for the World Equestrian Games. Fredericks won the Red Hills International CIC2* with the gelding in March. Ruppel is back in the irons for Rolex because Fredericks wasn’t qualified on the horse, but he’ll be taking back the ride after the event. Andrea Baxter and Indy 500 at Jersey Fresh. Photo by Jenni Autry. 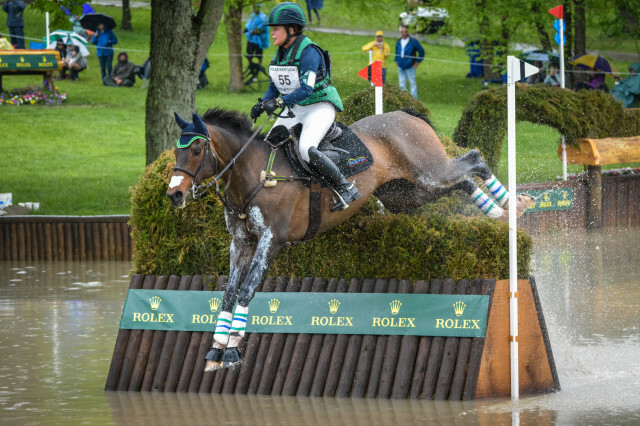 Although Andrea Baxter has made a previous trip to Rolex (in 2010 with her previous mount, Estrella), she didn’t complete the event, getting eliminated on cross-country for refusals. Seven years later, she’s back on Indy 500, an unraced Thoroughbred mare who has taken a very circuitous route to her first four-star! “Indy” was purchased as a weanling by Linda Miller, who obtained the filly when the farm that bred her was liquidated by owner Alex Trebek, of “Jeopardy” fame. Baxter looked at her twice as a retraining prospect, but decided against it both times. Then, when Indy was 4, Baxter had another horse sidelined with an injury and needed a new project, so agreed to take the mare on to resell. Indy was back competing in spring of 2011, and they won the Galway Downs CCI1* at the end of that year. It was all upward trajectory from there—by the end of 2012, they were running Advanced. They successfully completed their first CCI3* together at Galway Downs in 2014, placing eighth. In 2016, they placed 14th at the Jersey Fresh CCI3*, sixth at the Rebecca Farms CCI3*, and sixth at Galway Downs CCI3*. Rachel McDonough and Irish Rhythm. Photo by Leslie Threlkeld. 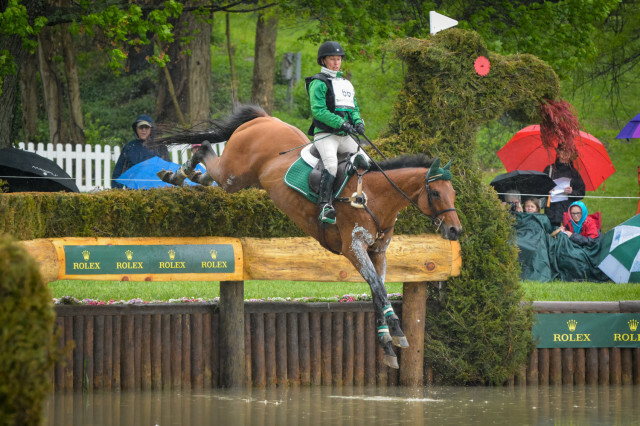 Irish Rhythm was supposed to help Rachel McDonough transition from ponies to horses as a 14-year-old aspiring eventer. Her mother wanted to find her something safe that could go Training level, maybe Preliminary, and was impressed by the fact that the 15.1-hand gelding was the only one they saw at the Fort Erie Race Track in Ontario that didn’t need to be shown with a chain over his nose. They purchased him for $1,200. Little did McDonough realize that her new horse would take her all the way to Rolex. Now 25, she and “Oliver” are entering the event for the fourth time. They finished 25th in their first go in 2014 with no cross-country jumping penalties. Unfortunately they were eliminated on cross-country in 2015, and McDonough withdrew before the first jog in 2016. With 43 racing starts, Irish Rhythm is the most prolific of all the Rolex OTTBs. He’s also the oldest—three Thoroughbreds are 1999 models, but Oliver was born in April, while Tsunami was born in May and Rise Against in June. Waylon Roberts and Kelecyn Cognac. Photo by Leslie Threlkeld. Waylon Roberts already has a lot of international experience, despite being a youthful 29. But with two Olympians (Ian Roberts and Kelly Plitz) for parents, it was almost to be expected. His first international outing was the FEI Children’s Jumper Championships in Brazil in 2002, where the Canadian team won gold. He’s also represented Canada at the Pan Am Games (winning team silver) and competed five times at the North American Young Riders Championships. He’s been based in the U.S. for the last several years, working with Phillip Dutton. Roberts has competed at Rolex once before, in 2008 on another Thoroughbred named Paleface, and were one of only 10 pairs that year to go double-clear on cross-country. Unfortunately Paleface was spun at the final jog and did not complete the event. Roberts is back this year with Kelecyn Cognac, a horse Australian eventer Kevin McNab took on because he was so badly behaved that he was in danger of being put down. 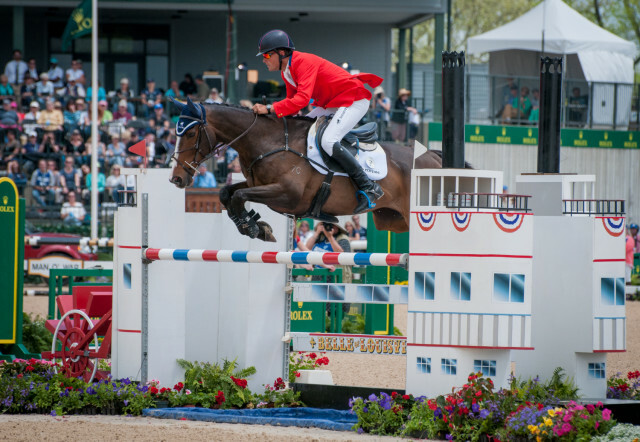 McNab competed him through the three-star level, then the horse made the jump across the pond. Roberts got the ride on him in 2014. They placed third at the Bromont CCI3* in 2015 and ninth in 2016, as well as fifth at the Jersey Fresh CCI3* in 2015. 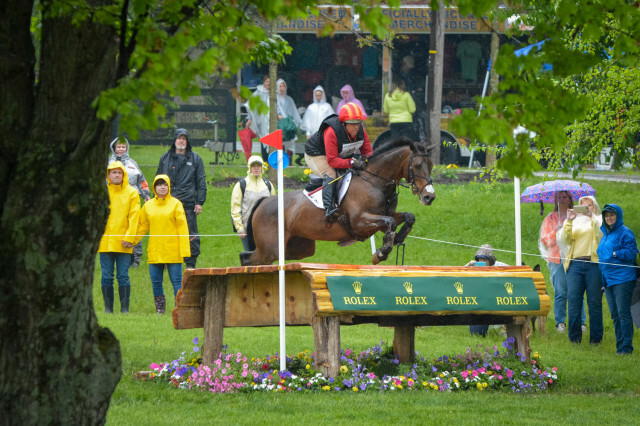 Roberts actually entered Kelecyn Cognac at Rolex last year, but withdrew a week ahead of the event. Erin Sylvester and Mettraise. Photo by Leslie Threlkeld. This is a four-star debut for Mettraise, although Erin Sylvester has been around the Rolex course several times, most notably with her longtime mount No Boundaries, who finished 13th in 2012. 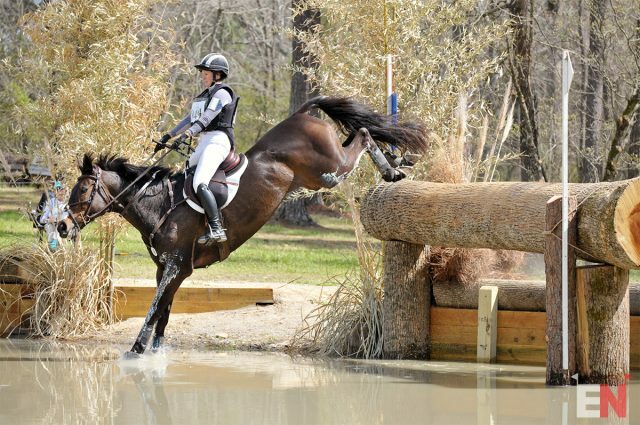 “Missy” and Sylvester have been partnered since 2012, starting at the Preliminary level, and have several top finishes at the two- and three-star levels. 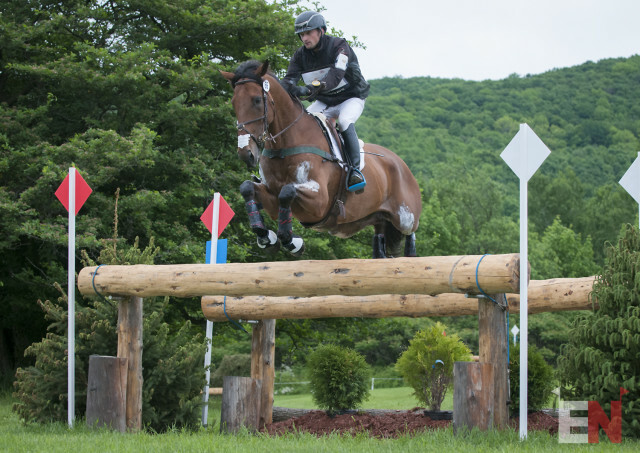 They were fifth at the Bromont CCI3* in 2016 and 15th at the Fair Hill CCI3* in 2015. Sylvester has a history with Thoroughbreds—most of her mounts are full or part TB, and she previously worked for Hall of Fame trainer Jonathan Sheppard galloping racehorses while she attended the University of Delaware. 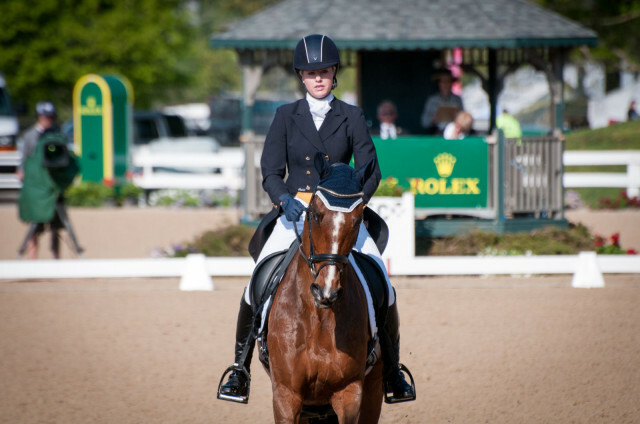 She also was one of the trainers for the first Thoroughbred Makeover in 2013. 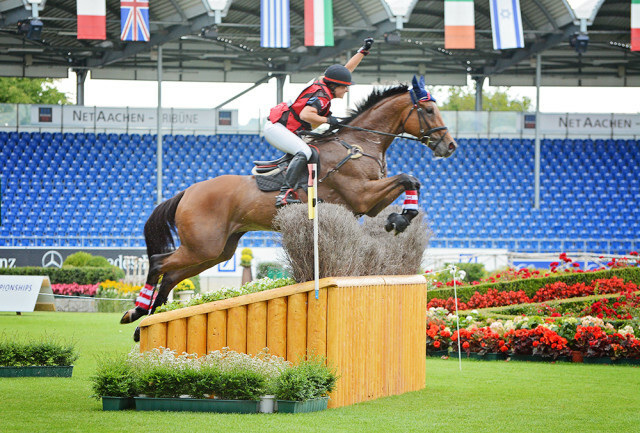 Holly Jacks-Smither and More Inspiration at Aachen. Photo by Jenni Autry. Holly Jacks-Smither has tons of experience with Thoroughbreds—starting at the age of 12, she broke and galloped horses at the track, and she wanted to be a jockey. While that wasn’t meant to be, she’s still involved with racing through her husband, Bruce Smither, who is a trainer. “Morris” caught Jacks-Smither’s eye at the track when he was a 2-year-old, and she bought him as a resale project when he retired at 4. He’s the biggest money-winner of the OTTBs in this year’s Rolex field, earning $55,560 in three years of racing. Jacks-Smither didn’t originally think the horse had upper-level potential, but changed her mind after Morris did his first CCI1* at Hagyard-Midsouth in Kentucky, placing second. Morris is a very careful show jumper, but they’ve had their ups and downs on cross-country. They competed for Canada at the FEI Nations Cup in Aachen in 2015, and returned home to place fourth at the Plantation Field CIC3*, but then had a fall of horse at Fair Hill in the three-star for mandatory retirement. In 2016, they were eliminated on cross-country at the Jersey Fresh CCI3* after parting ways, but rebounded a month later to place 12th at the Bromont CCI3*. This is the first four-star for both horse and rider. Holly Payne Caravella and Never Outfoxed. Photo by Leslie Threlkeld. Holly Caravella and Never Outfoxed seemed poised for a great finish at the 2016 event, after a clean cross-country round and one of the fastest times of the day put them 19th going into show jumping. Unfortunately the pair were spun at the final jog. They did add a four-star completion to their resume later in the season, however, going across the pond to tackle the Burghley CCI4* and finishing 19th. Caravella will hope for better luck in Lexington this year. She and Never Outfoxed had placed 20th in their previous Rolex outing in 2015. James Alliston and Parker are Rolex veterans—this will be their seventh go around the four-star course, the most of any pair in this year’s field, having first tackled it in 2011. They’ve competed every year since, and other than in 2012 when they fell, they’ve finished in the top 25 with no cross-country jumping penalties. Their best finishes were in 2011 and 2015, when they placed 14th. Alliston was looking for an upper-level prospect when he spotted Parker being ridden by Bonnie Mosser at Chesterland, where Alliston was working for Bruce Davidson. He was impressed with the gelding’s jumping style and scope, and with Davidson’s encouragement, tried him a few times, and eventually bought him. They started competing at Training level in 2008, quickly moving up the levels. They’ve also earned numerous top placings at the CCI3* level: third at Galway and fourth at Rebecca Farm in 2016, and second at Rebecca Farm in 2015. Buck Davidson and Petite Flower. Photo by Leslie Threlkeld. “Flower” is a product of the breeding program at Chesterland Farm, bred by Buck Davidson’s father, Bruce (who knows a few things about the type of horse that can jump around Rolex). She was bred for sport and never raced, and is out of the same mare as fellow competitor Truly Wiley. Bruce actually started the mare’s eventing career, competing her up through the CCI2* level before handing the reins to owner Caroline Martin in 2011. 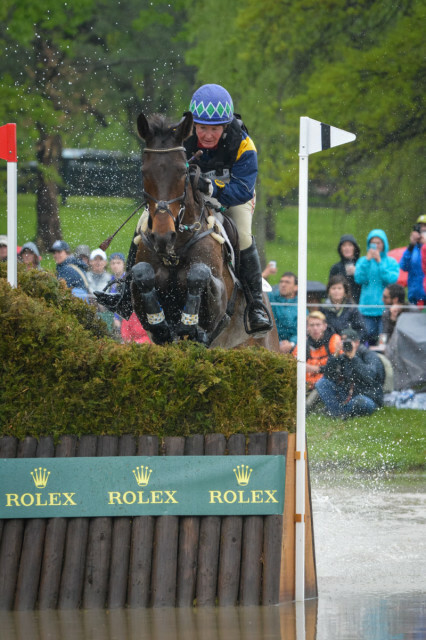 Buck took over the ride in 2013, winning the Galway Downs CCI3* that fall. This will be the pair’s fourth trip to Rolex. They withdrew on cross-country in 2014, placed 13th in 2015, and ninth in 2016. Bunnie Sexton and Rise Against. Photo by Leslie Threlkeld. Bunnie Sexton thought her eventing goals were modest—concentrating on bringing along young horses and staying at the two-star level; international three-days weren’t supposed to be in the cards for a mom of four who was focused on raising a family. Rise Against changed all that, and at the age of 50, Sexton found herself thinking that she just might have her first four-star horse. In 2015, “Ecko” proved her right. They jumped clean cross-country and finished 24th. And they completed again in 2016, finishing 39th. Sexton purchased Ecko from Ruben Arce in 2012, when the gelding was going Preliminary. He has the “distinction” of being the least-successful racehorse of all the OTTBs in this year’s field, both in terms of money won ($0) and number of starts (four). Fortunately, you can tell by Sexton’s smile when she’s going cross-country, he enjoys his current career a lot more! Boyd Martin and Steady Eddie. Photo by Leslie Threlkeld. “Eddie” is a mix of New Zealand, Australian and American Thoroughbred. His sire’s sire, Marscay, has produced top grand prix show jumpers and eventers in Australia. His sire also descends from Vain, who is the grandsire of Byth Tait’s Olympic gold medalist, Ready Teddy. Eddie was born in New Zealand and raced in Australia. He has the second-highest number of starts of the OTTBs in this year’s Rolex field with 36. And they were tough starts, mostly on hardscrabble county tracks in the Australian outback. On two occasions he raced on a Saturday and came back out for another start on Sunday! Martin spotted Eddie at a friend’s farm after he’d retired from racing, skinny and barefoot, but he still had a “look” about him, and Martin thought he must be a tough horse to have raced that hard. Martin was dressed in shorts and flip-flops, not exactly appropriate attire to try horses, but he jumped on the horse barefoot, popped him over jumps, and decided he had to have him. He sent the gelding to Kevin McNab for a month to fatten up, and then Eddie shipped to the U.S. in February 2010. Martin has brought Eddie up the levels—they did their first one-star in 2012, placing third at the Virginia CCI1*. They were 11th at the Fair HIll CCI2* in 2013, and moved up to advanced in 2014, completing the Fair Hill CCI3* that fall. In 2015, they placed fourth out of 56 starters at the Fair Hill CCI3*. Martin and Eddie’s season improved after Rolex; they notched top-10 placings in three CIC3* events: Ocala Jockey Club International (third), Richland Park (fifth) and Bromont (fourth). This spring, they placed 15th in the Carolina International CIC3*. They certainly will be one of the top pairs to watch at this year’s event. Will Coleman and Tight Lines. Photo by Leslie Wylie. OTTBs come in all shapes and sizes, and in the case of Will Coleman’s horses, they also come with French accents! Through his wife Katie’s friendship with Canadian eventer Lindsay Traisnel and her husband Xavier, who are based in France, Coleman has found several horses, including the French OTTBs Tight Lines, Soupçon du Brunet, and War Begun. Tight Lines, known around the barn as “Phish” in homage to one of Coleman’s favorite bands, was a steeplechaser, but his jumping form didn’t lend itself to being very speedy. He was sent to eventers Nicolas and Theirry Touzaint for retraining. 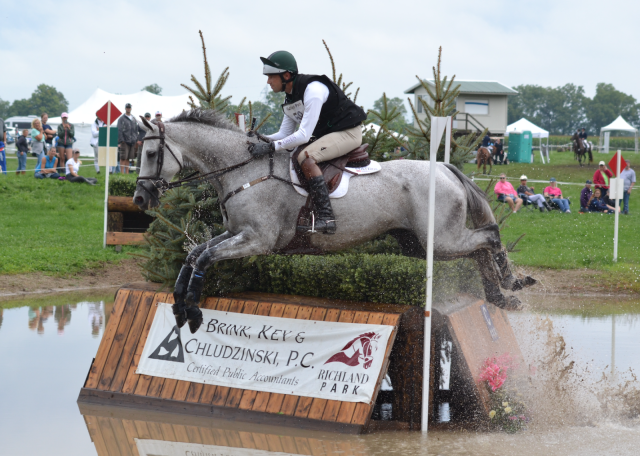 Paul Gatien, who was working for the Touzaints at the time, piloted him up to Intermediate and completed a CCI1* in 2014 before selling the gelding to Coleman’s connections. 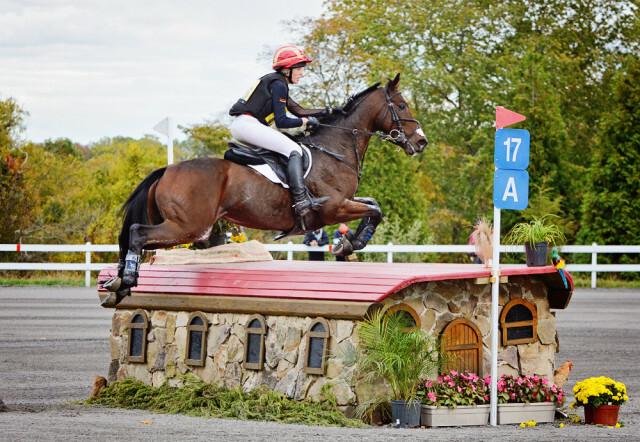 The pair won the Fair Hill CCI2* in 2015. In 2016, they won the Richland Park CIC3* and placed 24th at the Fair Hill CCI3*. 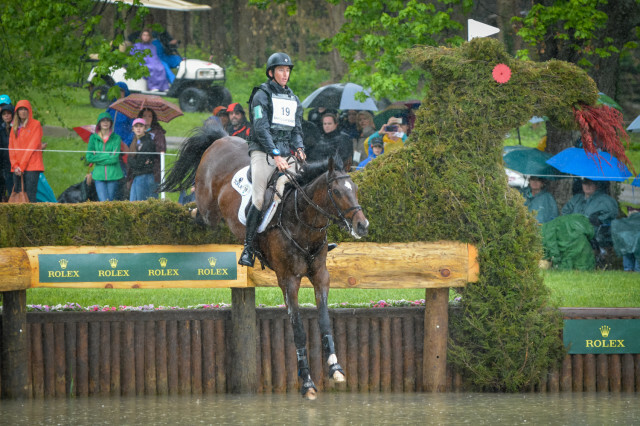 This will be Phish’s first four-star, but Coleman has been around the Rolex course once before, placing sixth in 2015 on Obos O’Reilly (an Irish Sport Horse who is entered again this year). Tight Lines and Truly Wiley were both born in 2007 and are the two youngest Thoroughbreds in the competition. Kelly and Truly Wiley at the March 2016 Poplar Place CIC3*. Photo by Leslie Threlkeld. Kelly Prather first spotted “Wiley” in a field at Bruce Davidson’s Chesterland Farm as a weanling while training there in 2007. He was so cute, she took a photo of him. A couple years later, Prather was back at Chesterland to look at some of Davidson’s young horses, and one 2-year-old in particular caught her eye… and it turned out to be the same horse she’d snapped a picture of as a weanling! This time, though, it was his talent and athleticism that impressed, and Prather bought him as an upper level prospect. Wiley’s sire, Salute The Truth, competed through the CCI3* level and was ranked 58th on the U.S. Equestrian Federation’s leading sires list for eventing in 2016. His dam, Tears Of A Loss, also produced Buck Davidson’s mount Petite Flower. Prather and Wiley were competing at the two-star level by 2014. In 2016, they placed 12th at the Jersey Fresh CCI3* and 27th at the Fair Hill CCI3*. This will be his first four-star. Prather, who is based in California, has made two previous trips to Rolex, with the Irish Sport Horse mare Ballinakill Glory. They had to withdraw before show jumping in 2010, but returned in 2011 to complete the event and finish 27th. Although Prather may not be a well-known name, she’s worked behind the scenes with some of the best in the sport. She moved to England as a 17-year-old to train for the British Horse Society exams, and spent two years in Ireland working with Carol Gee, helping to launch Fernhill Sport Horses. She also spent 2012 in England working as head rider for William Fox-Pitt, and was part of his team at the London Olympics. Prather focuses her training business on bringing along young horses. 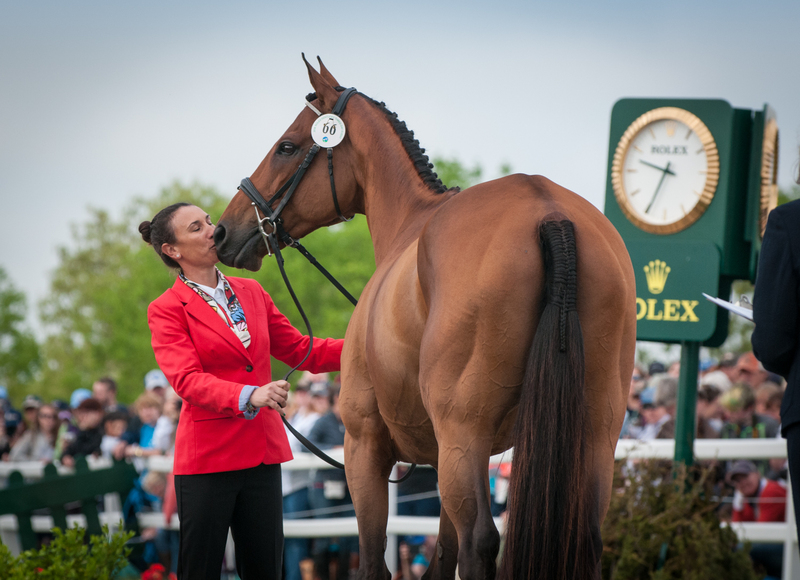 She started Blackfoot Mystery as a 3-year-old off the track, competing him through the CCI3* level before Boyd Martin put together a syndicate to buy him. She also competed D.A. Duras for owner Debbie Adams, including the 2015 FEI World Breeding Eventing CCI2* Championships for 7-year-olds at Le Lion d’Angers, where they finished ninth. Lauren Kieffer is now competing the Dutch Warmblood gelding at the CCI3* level. Sarah Cousins and Tsunami. Photo by Leslie Threlkeld. This will be the sixth trip around the Rolex four-star course for Sarah “Sally” Cousins and “Sue.” They’ve completed the event three times, with their best finish being 14th their first year, in 2012. Cousins has 30-plus years of experience at this level, having competed at Badminton and Burghley in her early 20s. (She also spent 16 years working as a stockbroker for Merrill Lynch, and competing, before deciding to become a full-time professional!) 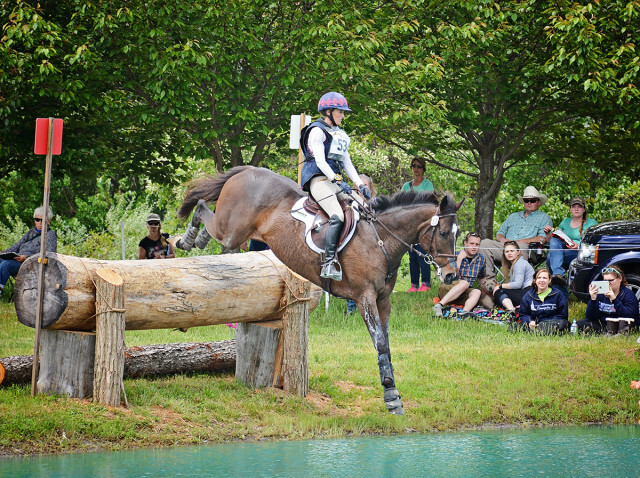 She was the U.S. Eventing Association’s leading lady rider for six years in a row, 2008 through 2013. Kim Severson found Sue at Penn National in 2003, and brought her up through the CCI3* level before selling her to Cousins in 2007. Together Cousins and Sue have a boatload of CCI3* completions, with their best finishes being thirds at Bromont in 2008 and 2013. Their only outing this spring was in Preliminary at Pine Top, where they placed 10th. Cousins has long been a fan of OTTBs and has found most of her competitive success with them. 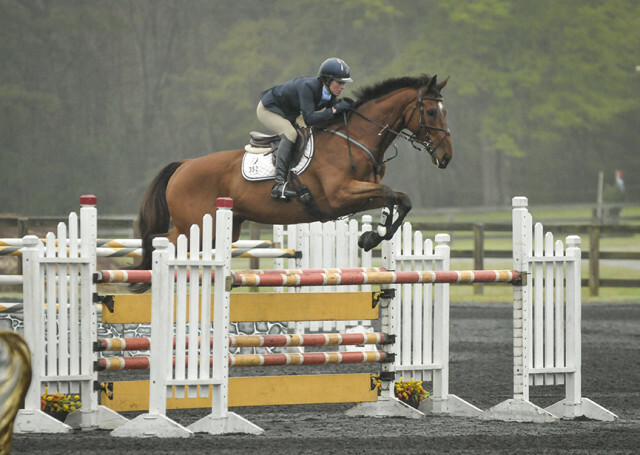 This spring she launched an OTTB-only syndicate, offering fans of the Thoroughbred an opportunity to participate in the upper levels of the sport as an owner and highlight the athleticism and versatility of these horses. The syndicate features ownership shares in a group of four of her current up-and-coming OTTBs (Wizard, Christopher, Great Bear and Herculon), as well as a yearly membership with special access. Many thanks to Retired Racehorse Project for this comprehensive report. Be sure to catch up with RPP at Rolex — see schedule below. Go Thoroughbreds. Go Eventing! Shop for everything OTTB and RRP wet weather gear if it’s raining! Featuring four horses in training for this year’s Thoroughbred Makeover. Check out their progress! Demonstration from Thoroughbred Makeover winner, Lindsey Partridge. BBQ, Bluegrass, open bar, and Equicizer racing! Tickets available here or at the RRP booth.